Late in 2008 I was emailed by a Scottish guy called Jason who runs a blog called Popcop. He had started up an international project called the Music Alliance Pact. The idea being that music bloggers from around the world would select a song from their country each month to contribute to an international on-line compilation. We each post all of the songs simultaneously on the 15th of each month with info on the artists and a link to their myspace page. The MAP itself has garnered a lot of attention from around the world. The songs are receiving many thousands of downloads, their was a recent write-up in the Guardian newspaper in the UK and I have interviewed by German public radio. While I mainly try to profile lesser known or new bands, I have also been lucky enough to include some bigger names - most notably The Verlaines. You can find all of the Counting The Beat contributions by using the widget in the sidebar that allows you to find posts on earlier Counting The Beat episodes - just look for Music Alliance Pact or MAP. 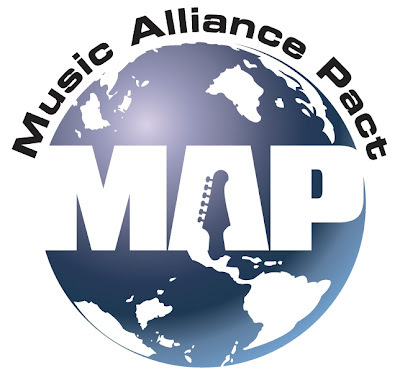 This episode compiles the 1st year of Counting The Beat contributions to the Music Alliance Pact.